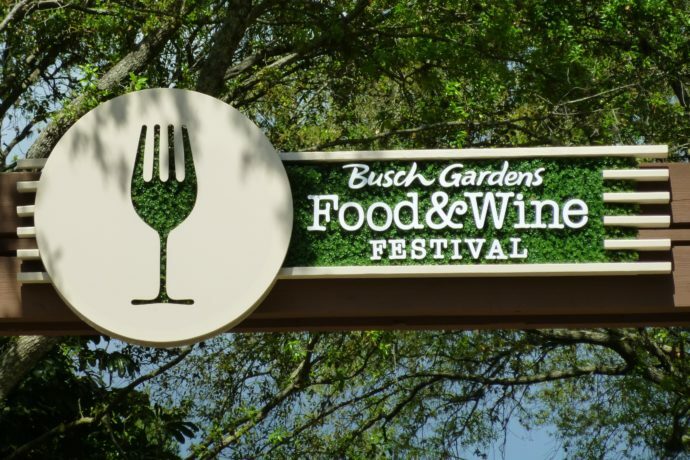 The Food & Wine Festival is underway at Busch Gardens Tampa and Spring was definitely in the air when I got to visit last weekend. They’re showcasing 11 new topiaries specifically for the event, which was a pleasant surprise to me. There were lots of booths with many different foods, wines, and beers to try, and the prices weren’t too bad. Unlike Epcot’s event, which takes place all along World Showcase, you’ll find all of the tasting choices in one place here. This makes it convenient and easy to walk around and take it all in before deciding what looks best to try. See pictures and read the reviews of my food tastings below! 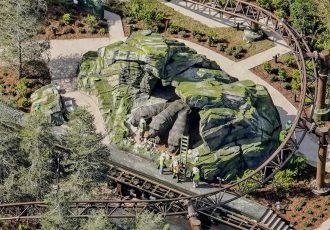 The Spirit of Spring is a massive topiary near the event, featuring more than 160,000 plants! Delicious Strawberry Shortcake dessert and the sweet tangy Habanero Shrimp Salad. The Food & Wine Festival is happening every Saturday and Sunday from noon until 9pm, now through April 26, 2015. 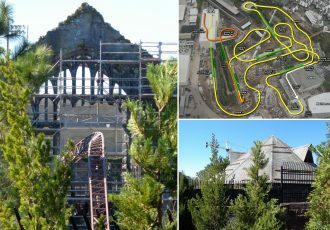 It’s free with regular admission, including annual passes. 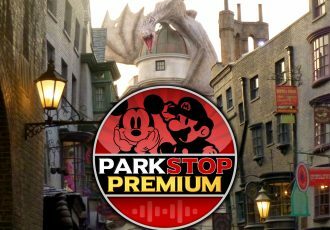 And if you do have an annual pass you not only get a discount on all food items, but each annual passholder is entitled to one buy-one-get-one-free deal per day! That’s a free food sampling of equal or less value with the purchase of one. They may not tell you about that so be sure to take advantage! The view of the courtyard after entering, with wonderful decor all related to food strung about. The Pan-Seared Shrimp themselves were very good but the grits and corn it came with weren’t anything special; lacked seasoning. The Beef Short Rib was tasty but wasn’t much of a helping. The fest offers 60 fine wines and 50 craft beers. Wine isn’t really our thing so we stuck to food on our trip. Some our favorite dishes: Deconstructed Duck Confit and Beef Brisket. Even though the mandarin oranges were just canned fruit this dish was great when eaten all together. And the Brisket was not only a filling option because of its big portion, but the sauce tasted great and Smoked Gouda Potatoes were delicious too. Balsamic Micro Greens Salad and Jerk Chicken Slider: The balsamic on the salad hit the spot and the pineapple on the sandwich was a perfect addition. Even though it’s called a slider, this was a full sandwich! Pan Seared Scallops with Watermelon Salsa: This was the most disappointing dish as I could hardly taste the watermelon, just lots of tomatoes. And there wasn’t much scallop, but the scallop itself did taste good. A local band serenading us while we enjoy our grub. All in all we had a great time and tried a few things we’ve never had before. I’ll definitely be back again next year if they do it again! Maybe next year I’ll sample a few beers as well. I leave you with some more topiaries and a few animal pics! 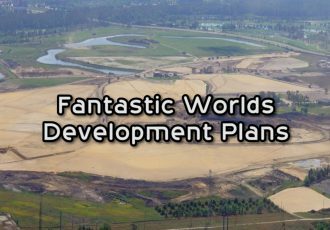 See all the theme park updates here and subscribe to the feed for more! 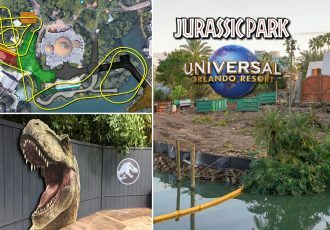 Also, be sure to check out the video and pictures from the latest Kongstruction update at Islands of Adventure.